The Ministry of Health has announced the appointment of Adri Isbister to the role of Deputy Director-General Disability. 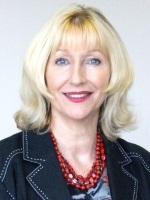 Adri was most recently the CEO of Wairarapa DHB and during her tenure, led the development of cross-sector work and the implementation of Health Care Home, a primary care initiative. More broadly, Adri has over 25 years’ experience in the health and disability sector. She is the former leader of LIFE Unlimited, a national health and disability service provider. Adri also supported the implementation of the New Zealand Disability Strategy and has held governance positions within the national Needs Assessment Service Co-ordination Association (NASCA) and disability information services. Adri holds an executive Masters in Business Administration and in her career has received two business excellence awards.